Last week, my kids went over their aunt’s house and stood in awe as their cousin played with two ingredient cloud dough. Trust me when I say that they have been asking each and every hour if they could make some at our home. I was sort of reluctant because kid’s dough makes such a mess. I have literally scrubbed carpets for hours to get rid of caked on messes from various brands of doughs. However, I was in a good mood and obliged to make them some cloud dough. I asked my family member for their recipe, and was assured it was very easy to do. Cloud Dough is so Easy to Make! 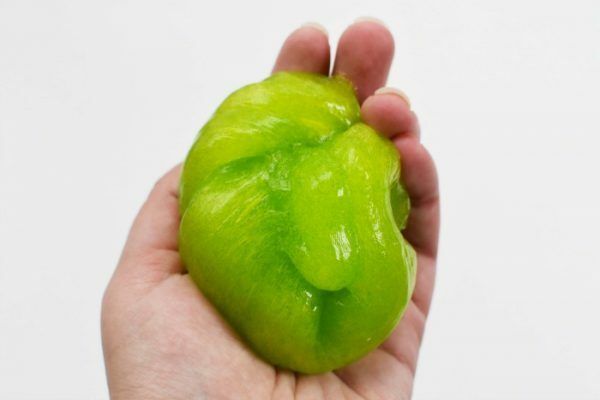 In fact, this cloud dough is even easier to make than slime! The ingredients to make cloud dough are hair conditioner, and cornstarch. That’s it…just 2 ingredients! I was pretty surprised. I have seen many variations of kid’s clays, and doughs, but had NEVER heard of using hair conditioner as a main ingredient. You can add coloring to the dough, or sparkles. I was going to initially color the dough in different colors, but then it hit me. My kids have a way of really messing things up. What if they somehow added water and turned the cloud dough back into liquid. The last thing I wanted was colored stains, and caked-on colorful dough all over my floors, walls, and furniture! So glitter it was…. 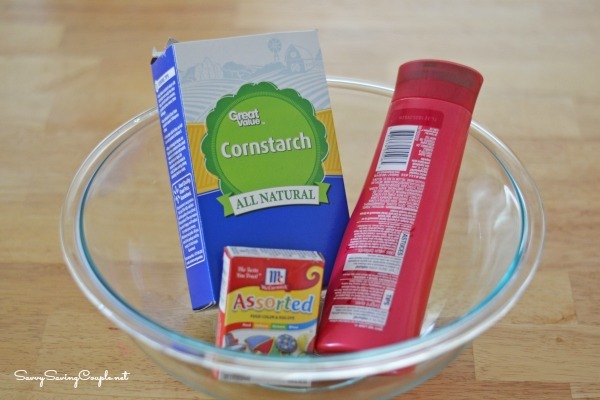 In a large bowl, mix your conditioner, and cornstarch. If the mixture is too sticky add a wee bit more corn starch. If the mixture is too dry, add a bit more conditioner. The dough should be non stick, stretchy, and pliable. Divide it up by how many kids are playing, and by what colors/sparkles they want. As mentioned, I kept our’s white with glitter to help save my sanity. Plus, it looks more like an authentic cloud this way! Cloud Dough will keep for 2-3 weeks if wrapped in plastic/wax/[parchment, and stored in an airtight container. 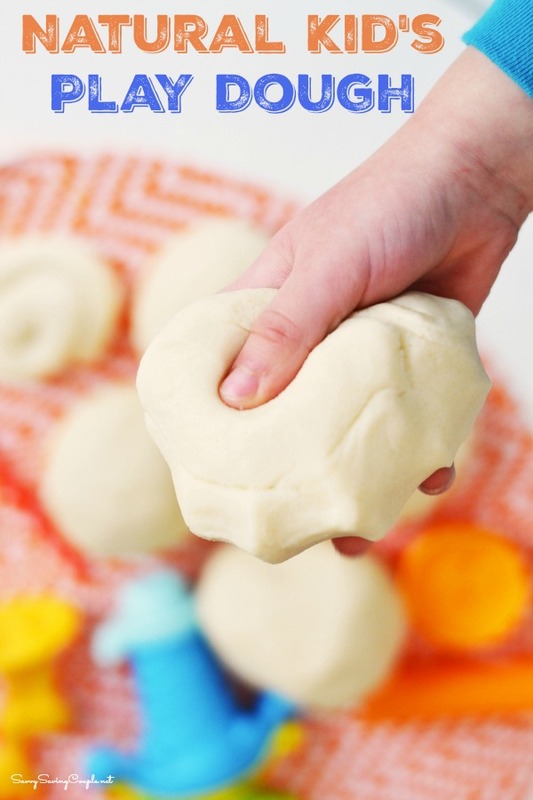 Make sure your kids hands are clean, as well as their play area to keep gunk out of your two ingredient cloud dough. Looks like fun. Does it crumble like normal dough? To be honest, I have no idea, but I’m thinking the conditioner may get greasy if baked? Not 100% positive though. I am sure you can air dry it though since a few crumbles hardened pretty decently. Well, that seems easy enough. My boys love playing with stuff like this. That is so neat!! Plus even sweeter it takes just two ingredients, talk about a win win! Gonna have to make this with my niece and nephew! Conditioner? Seriously? I never in my wildest dreams would have thought conditioner is part of this! How brilliant! I bet it smelled amazing! I think my son would adore this! Can’t believe it’s so easy and only 2 ingredients! That’s a neat idea. I’ve never heard of cloud dough before. What a great idea. It’s always great to find a homemade option to a store bought product. You always know what’s in it, and it’s almost always less costly. AWESOME!!! I cant wait to give this a try!! Totally pinned! We are suppoed to have some rainy days coming up- a good afternoon of cloud dough is on the rainy day Summer list! What a super fun idea! I will have to give this a try the next time I am babysitting my niece and nephew! What an interesting ingredient! I would have never thought of that, looks nice! How fun! And it’s great for kids who can’t use normal play-dough because they’re allergic to wheat. Keeping this is mind for a rainy day activity! Thanks! How neat is that?!?! I’m loving this! That’s awesome! Two ingredients and so much fun! Safer too when you know what’s in the dough! I want to make some!! I actually just heard of this tonight. lol It’s so cool how it works. I find it fascinating how this works! I’ve never heard of this! What an interesting combination of ingredients. I bet you the dough smells really good! That is totally easy, thanks for this! Making some with my girls tomorrow! I had never heard of cloud dough!! What a neat idea!! That is so super cool! I bet if you use the right conditioner it will smell fantastic! SOOO coool and easy to make. I’m excited that I found this post. My kids love Play-doh, and I get tired of buying it. I think my kids would enjoy making this one afternoon. Pinning for later. I can’t believe how easy this is. What a perfect muggy or rainy day activity. I love this cloud dough! At a preschool I student taught at, we would make this dough and add a little cocoa powder to part of it, then use it as vanilla and chocolate ice cream in an ice cream shop dramatic play area! It smells SO yummy! What a great idea! I used to be a teacher too!! I just made it an hour ago and my kid is still playing with it… it smells so good!